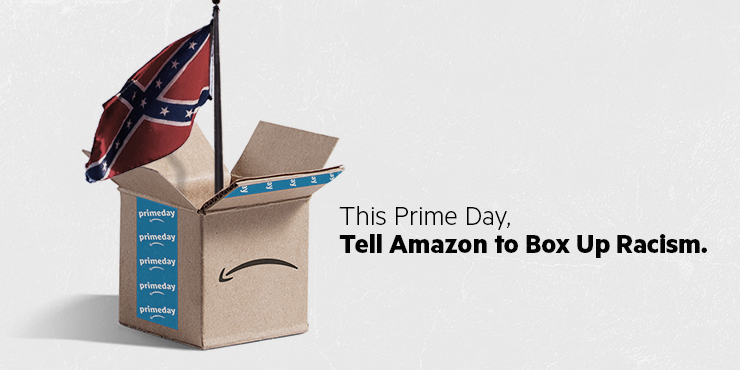 Don’t shop white supremacy–boycott Amazon on Prime Day! Amazon workers in Spain were on strike yesterday and today to disrupt the company’s Prime Day success, while in the US , groups upset about Amazon’s sales of white supremacist merchandise staged actions outside the company’s locations. Philly newsrooms have joined together in a very interesting year-long reporting project called “Broke in Philly.” Here, one local tv station looks at the phenomenon of side hustles, because people can’t afford to live on just one (and most of them aren’t hustling through apps). The folks at Coworker.org have put together a how-to talk to your coworkers about human rights issues, if you want to impact your company’s behavior. Striking Uber drivers in Kenya have forced the company to sign an agreement that they won’t cut fares. It’s not easy to be a whistleblower. Here’s a long read from David Dayen about one man’s fight against sexual harassment, inside one of the biggest global banks. Companies say they’re “powered by AI.” Sometimes, the I isn’t so A.
Uber has laid off all its self-driving car testers. Classism Exposed is running a great series of first-person blog posts, talking about the experience of poverty. Tim Berners-Lee (you know, the guy who kind of invented the internet as we know it) is working on a new system to allow us all to actually control our own data—regardless of what platform we’re using it on. I’ll be on vacation next week, so there won’t be a Hack the Union on Tuesday, July 24. The week after that, I’ll be at Netroots Nation–ping me, if you want to meet up for coffee or a drink in New Orleans!